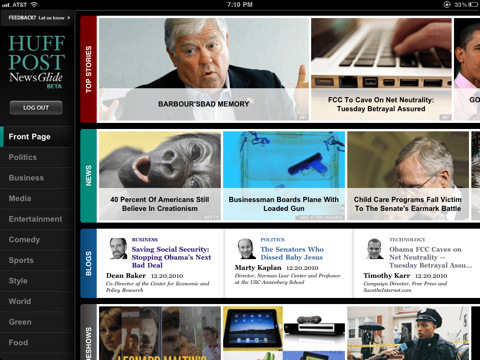 Huffington Post’s redesign of their iOS iPad-only app was a complete overhaul into a native iPad application. RookSoft developed the native iPad application from version 2.0 starting in October 2010 and continued until March 2012 with version 3.5. Additionally, RookSoft also contributed to the iOS-iPhone only app.